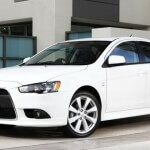 The 2013 Mitsubishi Lancer is a sporty four-door compact sedan that has spacious front and rear seats, decent cargo space, stylish design and a fun-to-drive character. 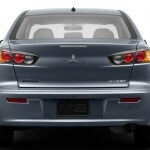 For 2013, a new Premium Package is now offered on the Lancer SE, including upgrades such as a leather-wrapped steering wheel and shift knob, a power sunroof and a Rockford Fosgate premium stereo. 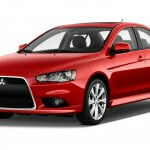 The 2013 Mitsubishi Lancer competes with Chevrolet Cruze, Subaru Impreza, Ford Focus and Mazda 3. 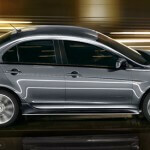 The 2013 Mitsubishi Lancer is available in five trim-levels: three trim levels with front-wheel drive (DE, ES and GT) and two with all-wheel drive (SE and Ralliart). 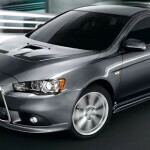 The high-performance Lancer Evolution is considered a distinct model. 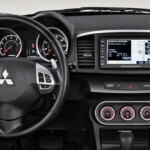 The 2013 Mitsubishi Lancer base DE comes with 16-inch steel wheels, full power accesories, a trip computer, automatic headlights, a tilt-only steering wheel and a four-speaker sound system with a CD player. The ES adds chrome exterior accents, keyless entry, air-conditioning, cruise control, a height-adjustable driver seat, front and rear center armrest, upgraded cloth upholstery, a 60/40-split rear seat and steering-wheel audio controls. The SE trim comes with a more powerful engine, all-wheel drive, 16-inch alloy wheels, rear disk brakes and a rear stabilizer bar. The GT is front-wheel drive only and adds to the SE foglights, 18-inch alloy wheels, a rear spoiler, sporty front fascia, keyless ignition, keyless entry, upgraded sport upholstery, a leather-wrapped steering wheel, automatic climate control, a rearview camera, a color driver information display, Bluetooth and a six-speaker sound system. 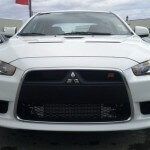 The all-wheel-drive Mitsubishi Lancer Ralliart comes with a turbocharged engine, additional sport exterior treatments, hill-start assist, a sport-tuned suspension, aluminum pedals and a sport steering wheel. 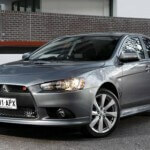 Available on GT and Ralliart trims is a navigation system. 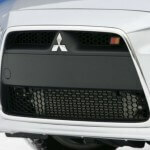 Also optional on GT and Ralliart is a Touring package that features a smaller rear spoiler, the sunroof, xenon headlights, leather seats and rain-sensing wipers. 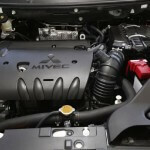 The 2013 Mitsubishi Lancer DE and ES are powered by a 2.0-liter MIVEC four-cylinder engine that produces 148 hp and 145 lb-ft of torque. 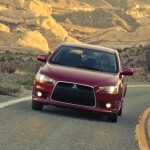 A five-speed manual transmission is standard while a CVT is optional. 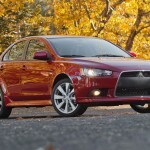 The 2013 Lancer SE and GT come with a 2.4-liter engine that produces 168 hp and 167 lb-ft of torque. 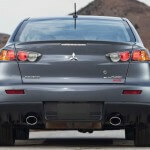 The SE comes standard with a CVT while GT comes standard with a five-speed manual transmission (the CVT is optional). 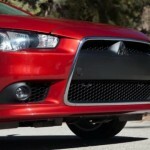 The 2013 Lancer Ralliart features a 2.0-liter turbocharged engine that produces 237 hp and 253 lb-ft of torque. 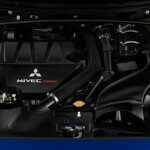 This engine is paired with an automated dual-clutch manual transmission with shift paddles and an active center differential. 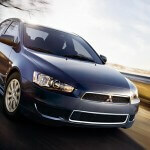 Find more new 2013 Mitsubishi Lancer pictures in our 2013 Mitsubishi Lancer photo gallery. 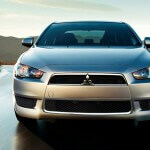 Posted on January 17, 2013, in 2013 Car Models, Mitsubishi. Bookmark the permalink. Leave a Comment.